This week on The Cut Speakuence, we continue our coverage of the Lone Pine Film Festival with 2 great interviews. Starting off, we talk to Dave Matuszak, who in his book, “The Cowboy's Trail Guide to Westerns,” has reviewed every western feature film ever made. After that we speak to actor William Wellman Jr., who’s father directed some of the great western films as well as Public Enemy and Wings, the first film to win Best Picture at the Academy Awards. 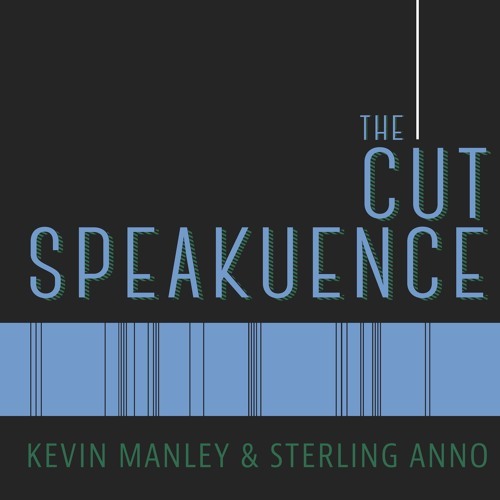 There are 2 more episode after this so be sure to subscribe to The Cut Speakuence on iTunes to keep up to date with these amazing interviews. Also be sure to make a trip out to The Lone Pine Museum of Western Film History. www.lonepinefilmhistorymuseum.org Want to hear Kevin and Sterling talk about a particular movie? Visit thecutspeakuence.com and write in a request at www.thecutspeakuence.com. Or tweet the guys @JustKevinManley & @TheSPORKguy. Also, be sure to leave a rating for the show on iTunes, it really supports the show. The Cut Speakuence theme music provided by Kameron Ramirez @Kamruff on Instagram.